The 2019 Ford F-150 is a full-size pickup truck offering powerful engine options, an intuitive infotainment system, excellent towing capacity and lots of interior room. Seven trim levels are available including the Ford F-150 XL, XLT, Lariat, King Ranch, Platinum, Limited and Raptor. Buyers can choose from a total of six engine options. The 2019 Ford F-150 comes standard with a 3.3 liter V6 engine with an output of 290 hp and 265 lb feet of torque. Other available engines include a 5.0 liter V8 engine with an output of 395 hp and 400 lb feet of torque and a turbocharged Ecoboost 2.7 liter V6 with 325 hp and 470 lb feet of torque. There’s also a 3.0 liter turbodiesel engine available with 250 hp and 440 lb feet of torque. The most powerful engine available is a 3.5 liter V6 with 450 hp and 510 lb feet of torque. The base engine comes with a six-speed automatic transmission. All the other engines come with a 10-speed automatic. Buyers who are interested in off-roading may want to consider the F-150 Raptor, which comes with beadlock wheels, numerous driving modes and a Trail Control System. Towing capacity for the 2019 Ford F-150 stands up to 13,200 lbs when properly equipped with a maximum payload of 3,270 lbs. Additional available towing features include Trailer Sway Control, Dynamic Hitch Assist and Trailer Backup Assist. The Regular Cab model seats three passengers while The SuperCab and SuperCrew seats six. Cloth seats are standard with the option to upgrade to temperature controlled and vinyl or leather seats. Two sets of LATCH connectors are in place. Standard interior features include forward collision warning, a rearview camera, automatic high beams, climate control, pedestrian detection and emergency braking. Optional available features include push-button start, a twin-panel moonroof, 8″ touch screen, Wi-Fi hot spot, USB port, Bluetooth, satellite radio, adaptive cruise control, a 10-speaker stereo system and more. Three bed lengths are available: 5.5 foot, 6.5 foot and 8 foot. Optional bed features include an integrated tailgate step, LED lighting and loading ramps. The interior also offers additional storage areas. Available safety features include air bags, ESC, traction control, daytime running lights and integrated turn signal mirrors. 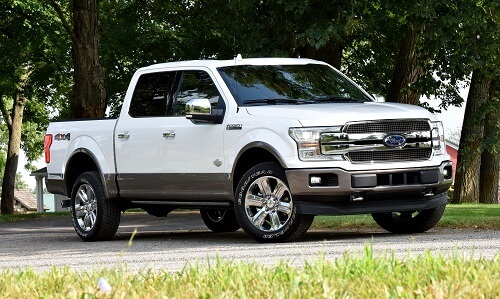 View our stock of 2019 Ford F-150 in Baldwin, WI below. The 2019 Ford Ranger is a compact truck offering a powerful engine, vast array of features and a powerful engine. It’s powered by a 2.3 liter four-cylinder engine with an output of 270 hp and 310 lb feet of torque paired with a 10-speed automatic transmission. Rear-wheel drive is standard with the option of four-wheel drive. Towing capacity stands at 1,860 lbs. The SuperCab model offers seating for four passengers while the SuperCrew cab seats five. Standard seating features include cloth and manually adjustable front seats. Optional seating features include leather appointed and temperature controlled seats. Two sets of LATCH connectors are in place to secure child seats. Standard interior features for the 2019 Ford Ranger include Ford’s SYNC system, a 4.2″ display, USB port, Wi-Fi hot spot, rearview camera, automatic emergency braking and a stereo system with six speakers. Optional available features include a power outlet, dual-zone automatic climate control, satellite radio, remote start, navigation, adaptive cruise control, rear parking sensors and more. 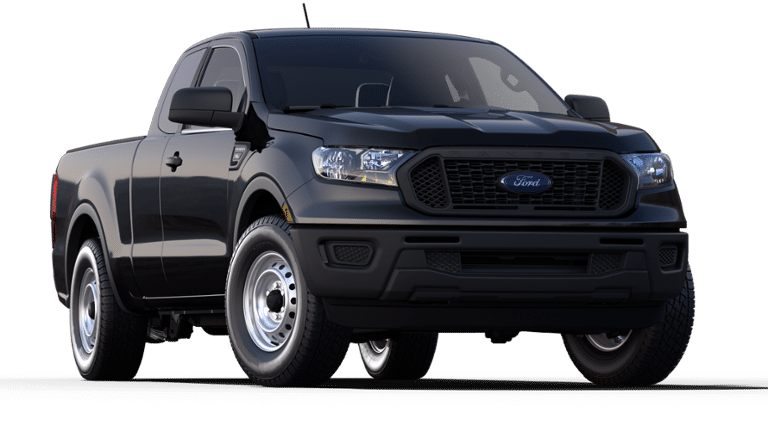 Browse our selection of 2019 Ford Ranger in Baldwin, WI below. 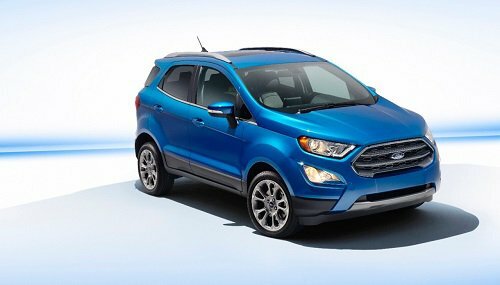 The 2018 Ford Ecosport is a subcompact SUV offering a stylish exterior, intuitive infotainment system and a vast array of features. It’s powered by a 1.0 liter three-cylinder Ecoboost engine with an output of 123 hp paired with a six-speed automatic transmission. Buyers who want more power may want to opt for the 2.0 liter four-cylinder engine with an output of 166 hp. Towing capacity stands at 2,000 lbs. Front-wheel is standard with the option of all-wheel drive. The interior offers seating for five passengers and comes standard with cloth upholstery. Optional seating features include leather and temperature controlled seats. Standard interior features include USB ports, Ford’s MyKey system, a stereo system, rearview camera and 4.2″ screen. Optional available features include a Wi-Fi hot spot, a moonroof, push-button start, satellite radio, rear cross traffic alert and an infotainment system with a 6.5″ or 8″ screen. Cargo space stands at 20.8 cubic feet and is expandable to 50 cubic feet with the rear seats folded. Browse our stock of 2018 Ford Ecosport in Baldwin, WI below.